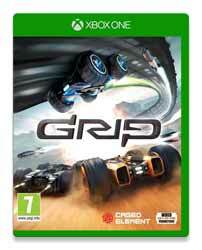 For those that fondly remember the Wipeout series of games, Grip is not a million miles away. 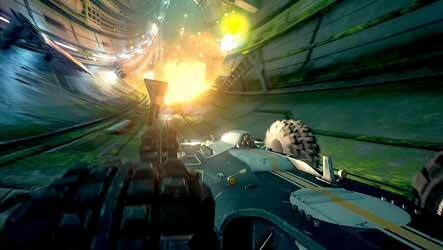 This racer, set in the future, sees you burning round racetracks picking up weapons and power ups to give you the edge on your competitors. But, instead of flying above the tracks, you have all four wheels firmly planted on the ground... but pick up enough speed (to be fair that's anything above a crawl) and you can drive up the walls and onto the ceiling of the courses. This, at times, can be a little disorientating until you get used to them (there are 22 at launch and no doubt more to follow). 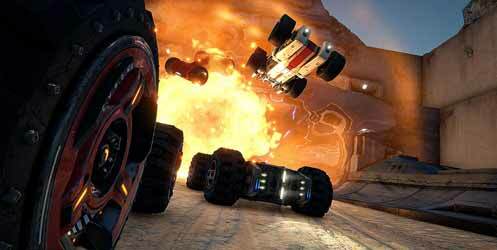 Like Wipeout, one of the most important elements of Grip is the soundtrack. At launch there are 24 tracks, including 11 drum and bass offerings from Hospital Music. It's thumping. It's engaging. And it adds to the atmosphere immensely. You're also offered 15 customisable vehicles to unlock and race, as well as an arsenal of 9 outlandish weapons and power ups that can be picked up whilst burning around the tracks. 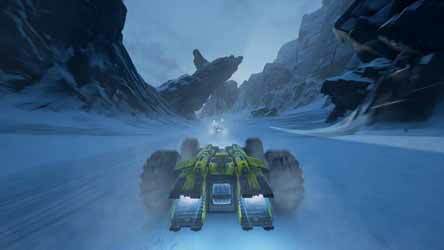 The graphics are as impressive as you'd expect and while speed is really the key to this game, it's worth getting to know the tracks as a lot of the time if you slow down and take another route you can get ahead of the pack. If I had one complaint, it's that it's not always clear where the tracks go. There's one level in particular where the logical path is out of bounds, causing you to disintegrate and respawn back on the track. Also I managed to get "stuck" off map a few times when I flew off the track but the game failed to notice this and didn't respawn me automatically. The game is fast, furious and a lot of fun and is best played online with friends, although you can race against AI or take part in a single player career mode. It's a refreshing, new twist on a very old style of game.